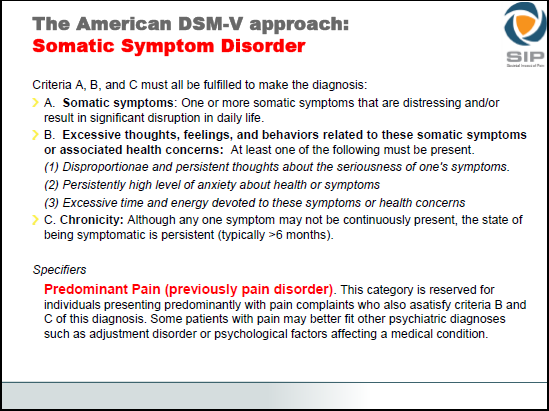 Today, Allen Frances, MD, who chaired the Task Force for DSM-IV, publishes his considerable concern for potential harm to all illness groups if DSM-5 Somatic Symptom Disorder (SSD) criteria go ahead in their current form. Allen Frances, M.D., was chair of the DSM-IV Task Force and is currently professor emeritus at Duke. 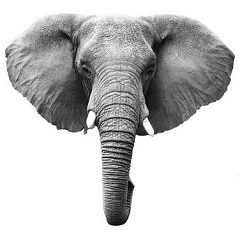 The eleventh DSM 5 mistake needs an eleventh hour correction. Suzy Chapman said, “…the requirement of ‘medically unexplained’ symptoms is replaced by much looser and more subjective ‘excessive thoughts, behaviors and feelings’ and the clinician’s perception of “dysfunctional illness belief’ or ‘excessive preoccupation’ with the bodily symptom. In the DSM-5 field trials, one in six patients with serious diseases like cancer, heart disease and diabetes met the criteria for an additional diagnosis of “Somatic Symptom Disorder”. Over 25% of the “functional somatic” field trial study group (irritable bowel and chronic widespread pain patients) were coded with ‘SSD’. The new SSD category (which would replace four categories under the DSM-IV Somatoform Disorders) de-emphazises “medically unexplained symptoms” as the defining feature of this disorder group. Instead, focus shifts to the subjective perceptions of the patient’s “excessive thoughts, behaviors and feelings” about the seriousness of distressing and persistent bodily symptoms, which may or may not accompany diagnosed general medical conditions, and the extent to which “illness preoccupation” is perceived to have come to “dominate” or “subsume” the patient’s life. The elderly, with higher rates of cancer, heart disease and age-onset diabetes, will also be vulnerable – all three diseases are cited by the SSD Work Group as candidates for an additional diagnosis of a mental health disorder + a diagnosed illness – if the patient is considered to also meet the criteria for ‘SSD’. The DSM-5 manual texts have not yet been finalized for the publishers: it’s not too late to put pressure on the Work Group to reconsider damaging proposals that are likely to increase rates of mental health diagnosis and add to the burden of ill health in diverse patient populations. Please click through now to Dr Frances’ blog to demonstrate to the SSD Work Group and DSM-5 Task Force the high level of concern that continues for the implications of these SSD criteria. And please circulate the link for Dr Frances’ opposition to these criteria on forums, Facebook, Twitter, blogs and websites and all health and patient advocacy platforms. Ed: Note that the requirement for “at least two from the B type criteria” was reduced to “at least one from the B type criteria” for the third iteration of draft proposals. This lowering of the threshold is presumably in order to accommodate the merging of the previously proposed “Simple Somatic Symptom Disorder” category into the “Complex Somatic Symptom Disorder” category, a conflation now proposed to be renamed to “Somatic Symptom Disorder,” also the disorder section name. A revised “Rationale/Validity” PDF document was not issued for the third and final draft. A brief, revised “Rationale” text was published on a Tab Page for the Somatic Symptom Disorder proposal and criteria but is no longer accessible. Proposals, criteria and rationales, as posted for the third draft in May 2012, were removed from the DSM-5 Development website on November 15, 2012 and placed behind a non public log in. Criteria as they had stood for the third draft can no longer be viewed but are set out on Slide 9 in this presentation, which note, does not include three, optional Severity Specifiers that were included with the third draft criteria.